As the clock winds down on the brilliant career of Winx, time may also be against her stablemate The Autumn Sun. Both won Group One races at Rosehill on Saturday with Winx claiming her fourth successive George Ryder Stakes win and The Autumn Sun his third Guineas. While trainer Chris Waller believes The Autumn Sun can only get better, he has to convince part-owner John Messara, proprietor of Arrowfield Stud where the colt will stand, possibly as soon as this spring. His Rosehill Guineas win came about the hard way at his first test over 2000m on a heavy track. “Chris said he pulled up well but he has had two gut busters now so I’m expecting a call to give him a spell,” Messara told Sky Sports Radio. “He’s had three runs this prep, two Group Ones and a Group Two and he’s won them all but they have been tough runs. “The other part-owner lives in Hong Kong and have to get together over the next couple of weeks to talk about things. Waller would like to take The Autumn Sun overseas and has ideas about doing the same with Galaxy winner Nature Strip. “I think he would be perfect for England,” Waller told the radio station. It is too late now for Winx to travel and plans are for her to bow out in the Queen Elizabeth Stakes on April 13 at Randwick. 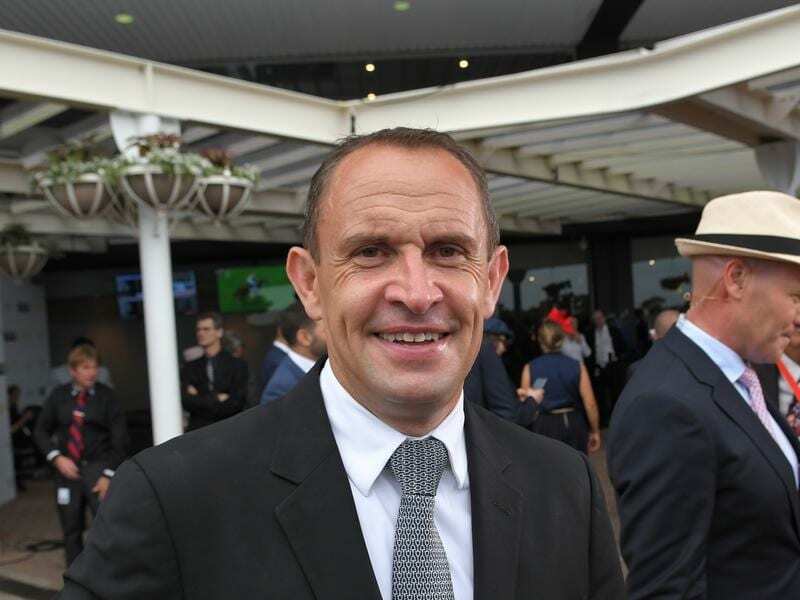 Waller admits there will be mixed emotions when that day arrives. “I’m actually looking forward to it,” he said. “I will miss her but it will be a different lifestyle for me. The trainer said he would have liked to have seen her race against some of the best the world has to offer, but had she done that, she would not have raced for as long as she has. “I said to someone yesterday I would love to see her race a horse like Frankel, or whatever the greatest horse has been, I think she could beat whatever that horse may be,” he said. “And I guess on their terms maybe they could beat her. “But she wouldn’t be able to do it for as long as she has done.